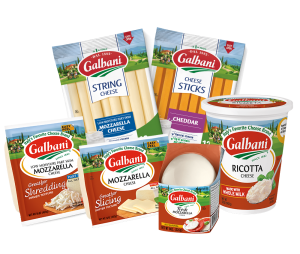 Experience the same great taste of traditional lasagna, only in a different way. 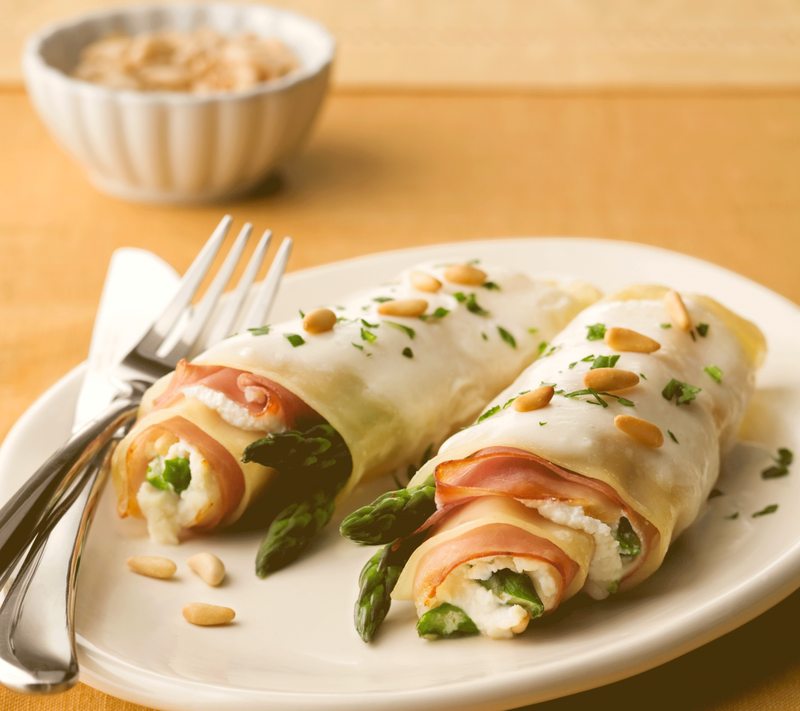 The fresh taste of asparagus, the sweet ricotta, and the saltiness of the prosciutto all rolled up are a fun, new, way to enjoy this classic dish. Cook lasagna noodles according to package directions. Reserve. Blanch asparagus in salted water for 1 minute. Chill in ice water. Remove and dry. Reserve spears and separate. Mix 1/2-inch asparagus pieces, ricotta, pine nuts, and salt and pepper in a small mixing bowl. Lay lasagna sheets out flat and line each with a slice of prosciutto. Evenly spread ricotta mixture over prosciutto. Roll up lasagna with mixture, ending with reserved asparagus spears. Turn rolletes on end so that spears lay flat and spiral can be seen from the sides. Place rolletes in individual baking dishes, each topped with 1 cup bechamel sauce. Cover with foil and bake for 20 minutes to warm through. Drizzle each with olive oil. Top with parsley. Melt butter until foaming in medium saucepan on medium. Add shallots or onions and garlic and cook until soft and translucent, about 4 minutes. Stir in flour and cook for about 2 minutes making sure not to brown. Whisk in milk slowly and bring mixture to boil. Stir in nutmeg. Season to taste with salt and pepper. Reduce heat to low and simmer 10 minutes, whisking occasionally.